strongly with you over the others? your goals, dreams, and desires. [Special Offer] Increase Your MLM Recruiting Within 30 Days, Guaranteed! within 30 Days or Your Money Back! After you read this whole article you’ll feel the enormous power in generating sales anytime, anywhere! Let me guess, one of your biggest frustrations in growing your business is getting people from no to yes, right? Day in and day out you work hard to prospect and you often hear “I can’t afford it, I have no time, is this MLM” and the list goes on. You try to get past their objection and more times than not, your prospect walks away telling you no, and you continue to keep struggling to build your business. How often have you wondered where your business would be if you already knew how to easily take your prospect from no to yes? Where would your business be if you knew exactly what words to say and what psychology to use to move even the toughest prospect? Well, you don’t have to wonder anymore because till midnight I am offering a 62 page report for $19.95. I will help you do two things: quickly weed out those not interested, and it will help you enroll the rest. I want you to meet my good friend Jim Fortin. Jim is an international peak performance and subconscious selling expert, and he’s going to teach you how to easily eliminate your biggest objections with this 62 page report, and the best thing is, I’m going to give you this for only $19.95 (one time). Once you get your hands on this, you’ll have the words, phrases and psychology to take any no to yes. 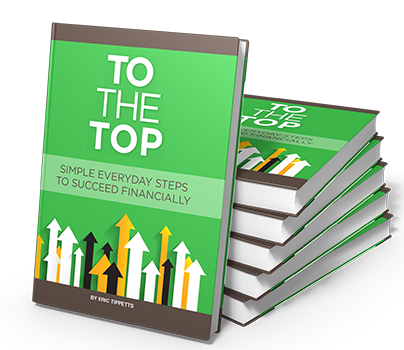 Thousands of Home Business Owners already purchase this 62 page report for $99.95. I am offering this till midnight for only $19.95. when you purchase my book in Hard Copy form. I know that if I help you discover how to create a positive, “can do” mindset and learning the laws of prosperity with reading my book….then bundled with being able to handle objections, instantly. This is a one time offer and won’t be available again! I believe in you! Let’s do this together! Previous post [Success] How to Get People to Listen to You in Network Marketing Next post 11 Simple Ways to Make 1 Million Dollars. Wow!